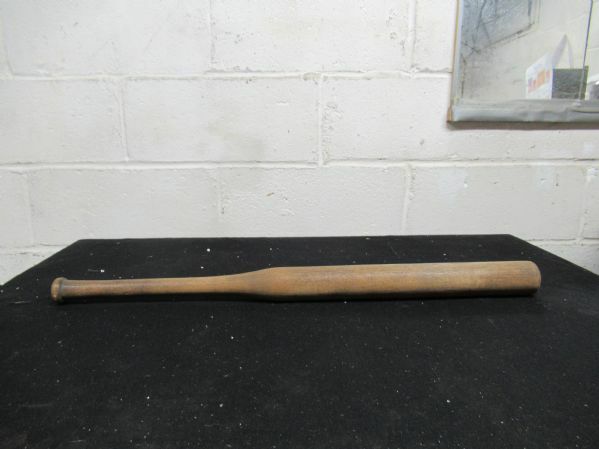 The bat that Henie Groh made famous. This is a store model Bottle Bat that exudes a certain feeling of old time baseball. No trademark or name is visible on bat. Great display item.